There are a lot of claims made about Yemeni Sidr honey which has led to confusion. We’ve been asked about what makes Yemeni Sidr honey special and the differences between varieties of raw honey from areas of the Do’an Valley in Hadramout, where the finest raw honey is collected. There are fewer things better than dipping into a jar of raw Yemeni Sidr honey. The one I'm savouring whilst writing this is the Sidr Do’ani which has butterscotch and caramel notes. It's delicious. The distinctive taste and fragrance are attributed to the nectar of the flowers of the Sidr tree and the soil the tree grows from in Yemen. You can find Sidr trees in other parts of the world but it is Raw Yemeni Sidr honey that is known to be the best (and most expensive) in the world. It is often compared to New Zealand’s Manuka honey as it too carries many medicinal and health benefits. There is a high demand in the international market for Yemeni Sidr honey which comes mainly from the regions of Hadramout, Do’an, Sana’a and Usaimat. It can be single source, or a mix of honey from several areas plus you can buy different varieties of Sidr honey infused with herbs and spices such as ginger, cinnamon, saffron and black seed. The high levels of antioxidant and anti-microbial properties add to the value and because it is rare with harvesting happening only once or twice a year when the Sidr flowers bloom. The flavour of Sidr honey, as well as its colour and density, can vary depending upon the region from which it originates from. It’s a thick honey with a rich, lavish and buttery sweet taste. It has a golden light colour, which darkens and turns reddish over time. When fresh and newly produced, it has been described as having the same aromatic smell of the Sidr tree in flower, in October. The best Sidr trees are organic as they grow wild in pristine and remote desert areas of Yemen and no chemicals or drugs are used by the beekeepers, unlike in other areas of the world, such as the time-honoured traditional methods. We only work with beekeepers who do everything by hand and don't use machinery, with the honey poured, unheated and raw into containers, preserving its vital live nutrients that not only give us its special flavour but retains its healing properties too. In addition to its many medicinal uses, Sidr berries are also extremely nutritious, something passed down to the honey and thanks to the rich soil. This special raw honey is reported to be particularly good in aiding liver problems, stomach ulcers, respiratory infections, digestive problems, infected wounds and burns and it helps strengthens the immune system and promotes general health and vitality. Sidr honey is found to have as much as 75-150 mg ascorbic acid per 100g, while other honey has less than 5mg per 100g. Research has found that darker honeys like the Royal Sidr Cave honey have higher antioxidant properties which help combat the signs of ageing. Among the most famous areas in Yemen for producing Sidr honey is the very remote Do’an Valley (Wadi Do’an) in the Southern part of Yemen in Hadramout. Here the Apis mellifera jemenitica bees forage for the nectar of Sidr trees in beautiful countryside full of wild flowers, surrounded by protective mountains. This honey also comes from the Do’ani region but the nectar is gathered from the tops of the mountains by a smaller type of bee. The concentration of the nectar is higher in this honey as there aren't any wildflowers to compete with the Sidr blossoms. This means that the bees produce a very pure and rare monofloral honey intense with the special properties of Sidr. The Balqees family bee farms have dedicated their lives to producing one of the best raw and natural products nature can give. This honey is thick and viscous in texture, complex and rich in taste. It is a challenge to transport the honey from this remote countryside, untouched by civilisation, into the cities for sending to Balqees. The most expensive Yemeni honey is Kahouf (cave) honey, from Wadi Amd. There, in the mountains, inside caves, the bees make wild hives. Hidden from the sun this liquid gold retains its thick consistency, amber colour and all its rich nutrients. We can only harvest around 300 to 400 kilos every two years as it's so difficult to find. The beekeepers have to crawl inside the caves through narrow fissures in the rock and collect just enough so that the bees can still thrive without damaging the hive or harming the bees. It is so rare it is the most expensive honey in the world. According to the UN Food and Agriculture Organization (FAO), Yemeni's Sidr honey is more expensive than other kinds of honey on the global market because of the differences in their medicinal and nutritive benefits. Unfortunately, this makes Sidr honey susceptible to fraud and fake versions being produced. That’s why it’s important to know how your raw honey should taste, get to know your producer, make sure they ship direct from the beekeepers and know where your honey comes from. Sight: The finest Sidr honey, has a brown-reddish hue that does not change over time, unlike ‘impersonator’ honey. Touch: Sidr honey is sticky and cannot be washed from the hands easily, unlike inferior counterparts. Smell: You can distinguish raw honey from the fakes by its odour, the Sidr tree has a unique, aromatic smell. Taste: Honey with added sugar-syrup is far sweeter than Sidr honey. Connoisseurs are able to distinguish between a Yemeni honey and one imported, as well as recognizing its regional origin from the colour, aroma, and taste. The degree of the humidity and consequent viscosity are of great importance in the valuation of honey. A traditional test consists of letting a drop of honey fall into the dust. If it remains spherical, the honey is considered to be pure, but if it expands, it can be assumed either that the honey has been lengthened or that the bees have been fed with syrup. However, the best way is to buy from a trusted source direct to the beekeepers. We hope this helped answer your questions about the different Yemeni Sidr honeys from Doan. 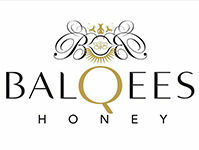 If there is anything else you’d like us to answer, please let us know by email, Instagram @balqeesrawhoney or Balqees Honey on Facebook.